Bottom Line: Cellucor SuperHD is a great and safe supplement for healthy and active adults. Overall, a great product to try. 2. History of the Brand: How Did Cellucor: SuperHD start? 6. Who’s Cellucor: SuperHD Defense For? 7. How Does Cellucor: SuperHD Work? 8. Does Cellucor: SuperHD Work? 13. Any Cellucor: SuperHD Lawsuits? 16. Would Cellucor: SuperHD Work with Your Diet? 17. Verdict: Would I Recommend Cellucor: SuperHD? As part of a healthy diet and an active lifestyle, SuperHD gives you just the extra push you need to reach your goals and feel great while doing so. What I personally like about it, is how affordable this supercharger is. Basically only a buck a day to keep you sharp so that you can tackle your workout, cut down on the cravings, and give you a boost of energy on top of it. And if you order a two-months supply directly on Cellucor’s website, you don’t even pay for shipping! Speaking of the website, it is absolutely intuitive and mobile-friendly. Cellucor is a brand of Nutrabolt, located in Texas, and most famous for its pre-workout supplement. Cellucor was brought to market in 2002, and the product SuperHD was launched in 2013. Cellucor has a variety of products geared toward weight loss and overall health. Their website offers pre-workout, post-workout, amino acids, protein, testosterone boosters, and weight loss supplements. SuperHD contains Vitamins B3, B6, and B12, and two different proprietary herbal blends starring ingredients used in Ayurveda and Chinese medicine for millennia. One of the blends, called SuperHd ThermoSculpting ™, contains Green Tea, scientifically proven to aid health and metabolism. The other blend, SuperHD Sensory Impact ™, contains Cayenne and Amla Fruit Extract, also known as Indian Gooseberry. Their efficacy and fat burning benefits have been well researched as well. I wasn’t able to find exactly where it is manufactured. Since the company is based in Bryan, TX, it seems that it is likely manufactured in the US. 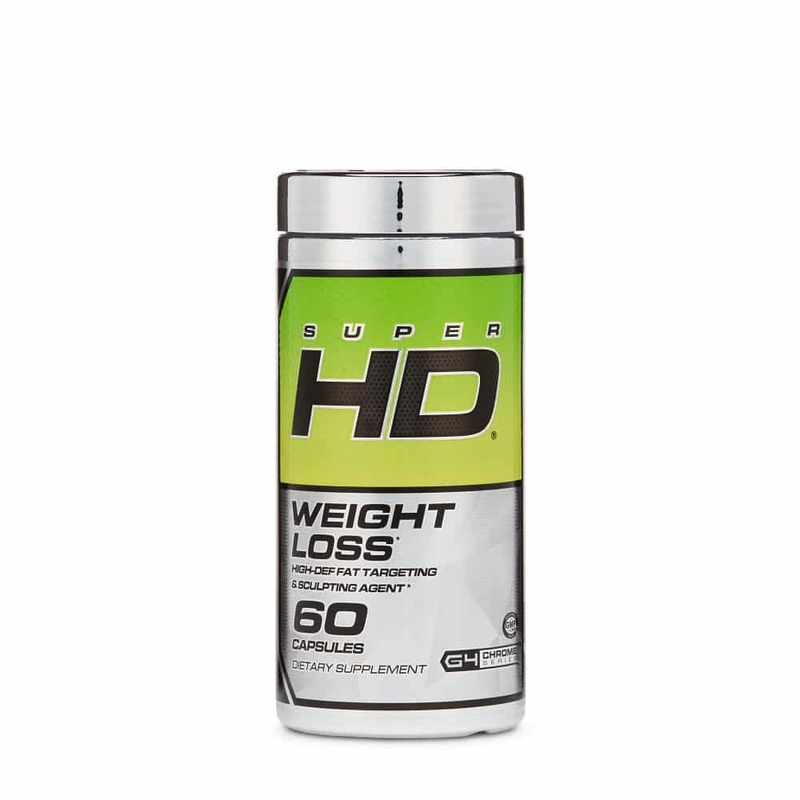 SuperHD is a great and safe supplement for healthy and active adults looking to lose weight and have extra energy. The keys are its high-quality ingredients. SuperHD contains Vitamins B3, B6, and B12, and two different proprietary herbal blends starring ingredients used in Ayurveda and Chinese medicine for millennia. and Helps Promotes Better Appetite Control. There is science to support these ingredients working to do the job they claim. Because this is a capsule you take twice daily before each meal, there is no issue with taste. It is a simple no muss, no fuss supplement. No yucky powder to measure or mix. This superstar supplement contains some caffeine: 160mg per capsule, which is no more than a regular Latte. Unlike other weight loss supplements, there are no jitters to be expected here. Unless you are sensitive to caffeine, of course, in which case Cellucor recommends trying SuperHD Ultra. It is possible for natural ingredients to interact with other supplements and medications. As always, talk to your healthcare provider about any concerns before taking a new supplement. SuperHD is a great and safe supplement for healthy and active adults. As always, talk to your healthcare provider about any concerns before taking a new supplement. For more details, Cellucor also has a comprehensive list of medications and conditions on their website to check. While there are other weight loss supplements and thermogenics on the market, this product does not have a direct competitor thanks to its two proprietary herbal blends. It should work with any diet, except for vegan. All Cellucor’s supplements are gluten free. SuperHD is a great and safe supplement for healthy and active adults. As always, talk to your healthcare provider about any concerns before taking a new supplement. For more details, Cellucor also has a comprehensive list of medications and conditions on their website to check. Cellucor: SuperHD can be purchased through Amazon or using their Official Site.